This tasty summer fruit punch combines sweet peach and orange juice with rich spices like cinnamon and cloves. The citric combination provides your daily dose of potassium and vitamin C, and the addition of the cloves adds an antioxidant component plus great flavor. 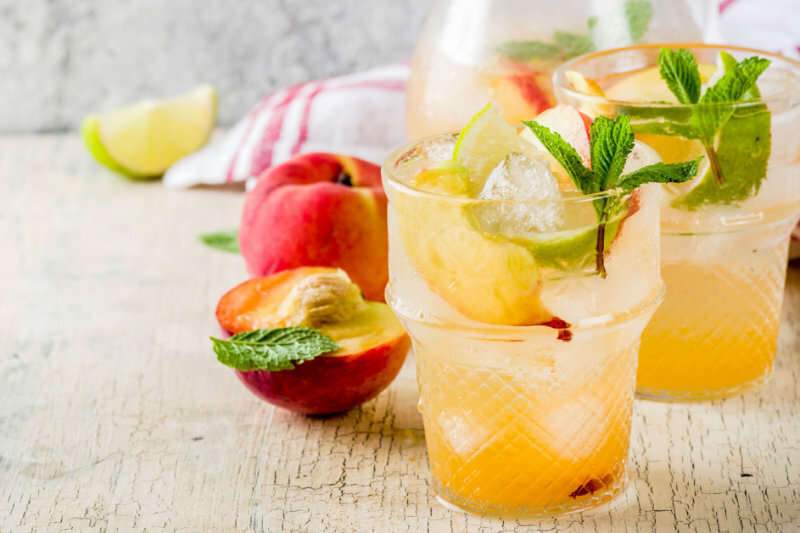 During the summer, we like chilling this fruit punch and adding ice in for a cool and refreshing aperitif. For the winter, you can easily warm this up to make a cider-like beverage that’s ultra soothing and delicious. Combine the peach nectar, lime juice, and brown sugar in a saucepan over low heat. Stir until the sugar is dissolved. Add the cinnamon stick. Tie the cloves in a small cheesecloth bag and add to the mixture. Stir constantly; do not allow the mixture to boil. Simmer for five minutes. Remove from heat and allow to cool. When cooled to room temperature, stir in lime juice and chill. Serve with ice, and garnish with peach slices, if desired.